As a Finnish non-profit organisation, CMI’s highest decision-making entity is the general meeting, which convenes CMI’s members (currently 113) to examine our annual financial and working plans and reports, and to select the board members. CMI’s board is ultimately responsible for our long-term strategy, significant financial decisions, the approval of new members and the appointment of the Executive Director. The board currently has eight members. CMI’s Executive Director leads our work and oversees the implementation of our strategy. A leadership team provides support in planning and decision-making. 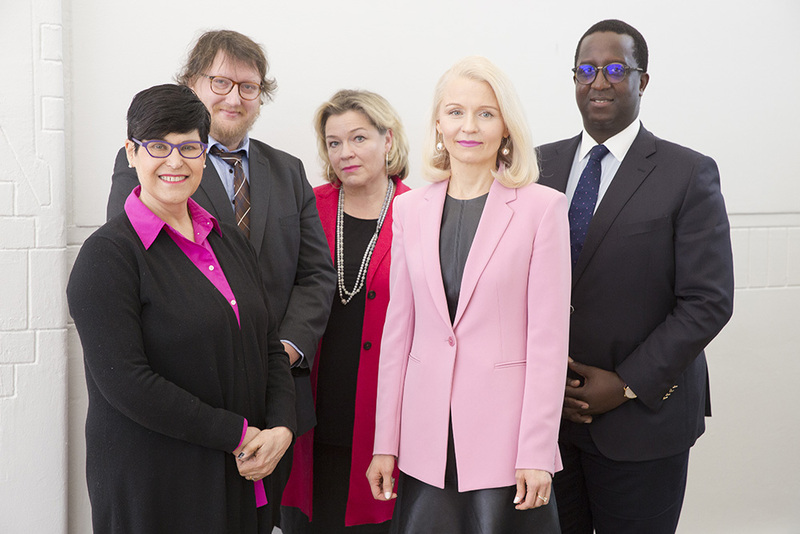 From left: Tuija Talvitie, Ville Brummer, Elina Lehtinen, Jaana Seppänen & Itonde Kakoma. CMI’s Board. 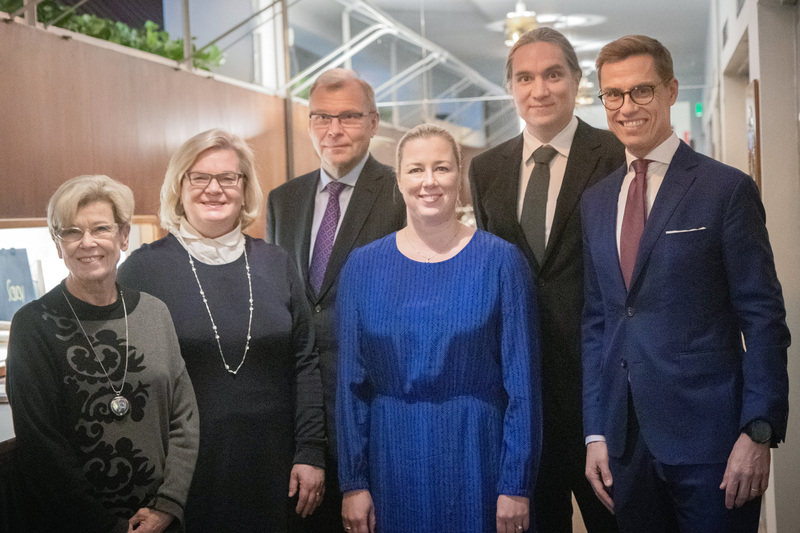 From left: Kirsti Lintonen, Gunvor Kronman (vice-chair), Kari Lautjärvi, Jutta Urpilainen, Aleksi Neuvonen and Alexander Stubb (chairman). Not pictured: Kristina Pentti-von Walzel and Christoph Vitzthum. Alexander Stubb is the Vice-President of the European Investment Bank, and former Prime Minister, Minister of Finance, and Foreign Minister of Finland. Kari Lautjärvi is one of the leading lawyers in Finland in the areas of corporate and finance law, with a wide interest in international law and politics as well as corporate social responsibility. development co-operation. She also holds several leading positions among the Finnish-Swedish community in Finland. Member of the Board since 2008. Master of Arts in Philosophy, University of Helsinki. Director of the Finnish Red Cross, 1999-2003. Senior Advisor to the Nordic Council in Copenhagen, 1994-1999.
for several years, mainly in Africa. a Finnish umbrella-organisation for NGOs. supporting Finnish-Swedish culture in Finland. works at Demos Helsinki, Finland’s first independent think tank. United Nations between 2005-2009 (now retired). Before that she was the Ambassador of Finland to South Africa, Botswana, Lesotho, Mauritius, Mozambique, Namibia and Swaziland, Pretoria. figure in the fields of fundraising, communal work and corporate governance.